Read daily and love horoscopes, tarot, daily facts, send love sms and more. 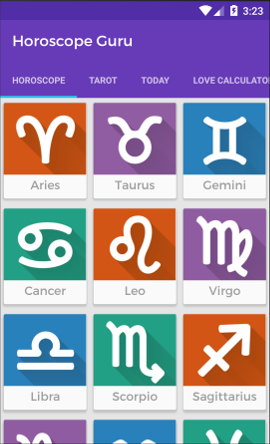 Fully localized Horoscope.Guru android application is now available in English, German, French, Spanish, Potugese, Italian, Turkish, Russian and Croatian language. Elite astrologers and programmers joined efforts to deliver the most accurate and most detailed horoscope. 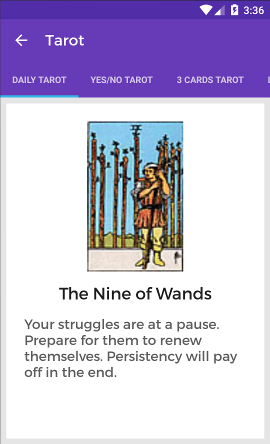 Prepare to be amazed from accuracy of our top predictions. 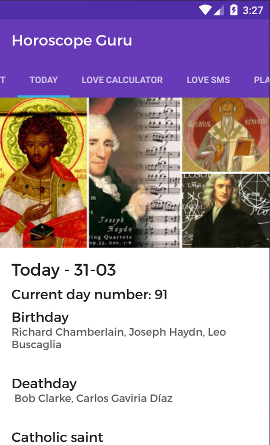 Enjoy every morning with our Daily horoscope, Love horoscope, Daily tarot, Today in History facts, send Love sms to someone special, have fun with love calculator. 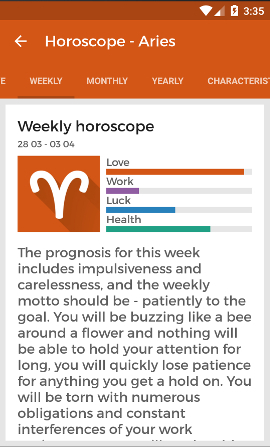 Daily, Love, Weekly, Monthly, Yearly Horoscopes. Planetary positions, Current moon, Zodiac signs characteistics, Lucky numbers, Famous signs. Fun and accuate Love calculator. Great list of Love SMS ready for sending for your loved ones and for every occasion. 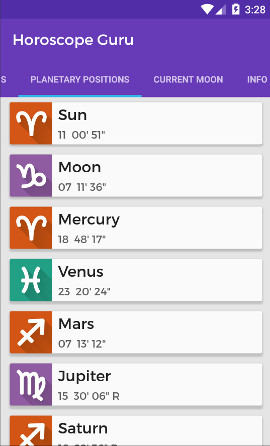 Enjoy an instant preview of Horoscope.Guru android application on all devices. 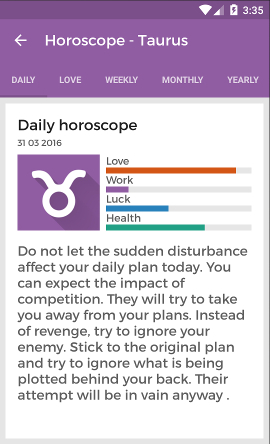 Horoscope.Guru looks great, I enjoy it every morning with coffee. I learn someting new everyday about myself and the world events, very useful. Awesome. Having much fun with love calculator and no more lack of inspiration with love sms list. 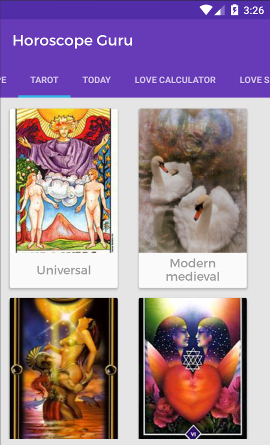 Tarot readings are great i love them, horoscopes are very accurate too.